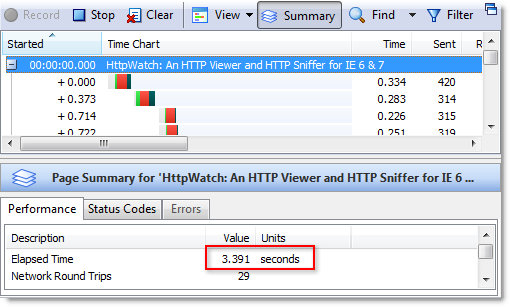 We also saw a reduction in the Wait time displayed in HttpWatch. It reduced from about 150 ms with our hosted version to about 60 ms from Google. This was probably due to the use of Google’s Content Delivery Network (CDN). Our web server is hosted in Dallas, Texas and has a ping time of about 140 ms from our office in the UK. 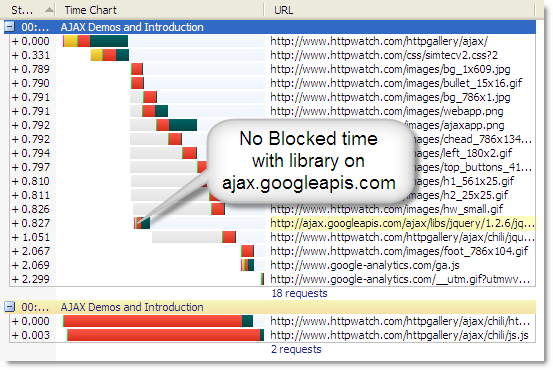 The Google host ajax.googleapis.com has a much lower ping time of 29 ms from here in the UK. 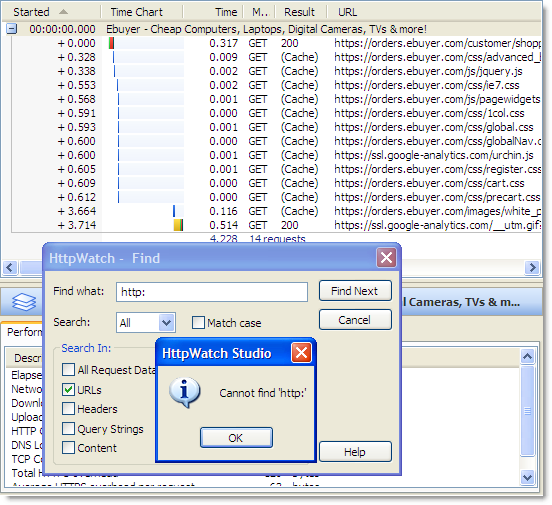 A new visitor to your site who won’t have any of your pages, scripts, CSS or images in their browser cache. An existing user of your site who will have your cacheable pages, scripts, CSS or images in their browser cache. Visitor type 1) is said to be in the Empty Cache state and Vistor type 2) is said to be in the Primed Cache state. Optimizing for visitors with an empty cache is important as their initial impressions of your site will be affected by how quickly its pages are loaded. The performance of any page is never going to worse for visitors with a primed cache, but minimizing the load on your site caused by existing users through the use of effective caching will reduce your bandwidth costs and server load. BTW, everything we’ve mentioned in this blog post works with the free Basic Edition of HttpWatch as well as the Professional Edition. Have you ever been to a web site and seen this? This warning is triggered in IE if it is displaying a secure HTTPS page that has caused a non-secure (i.e. HTTP based) resource to be downloaded. The message box doesn’t allow the user to control whether the non-secure content should be downloaded, only whether it should be displayed. This seems rather pointless as the damage may already have been done if the non-secure content was a picture of your passport, bank statement or credit card! However, this is the default setting in IE so it is best to avoid this warning being generated on your web site. 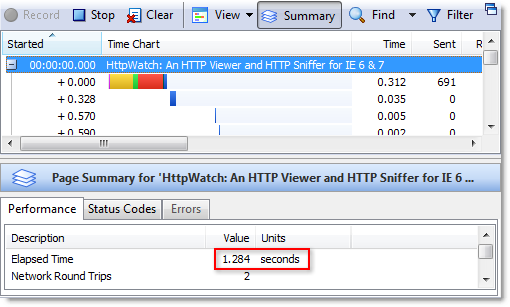 No HTTP requests were recorded for this page in HttpWatch. So what was causing the ‘Do you want to display nonsecure items’ message? 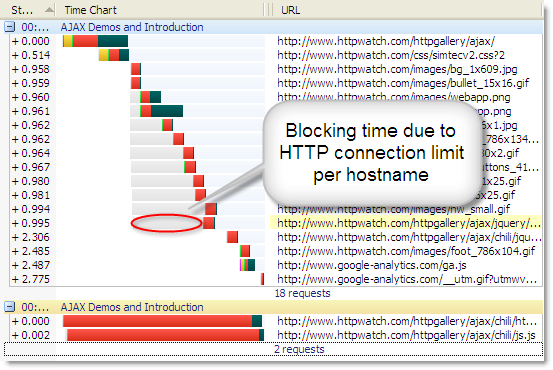 It turns out that IE warns about HTTP based content even if it was read from the browser cache or the IE image cache. 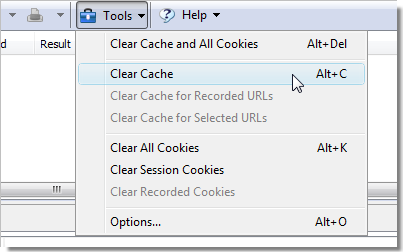 Requests from the browser cache are shown as (Cache) in HttpWatch, but as we previously described access to the IE image cache is not recorded. 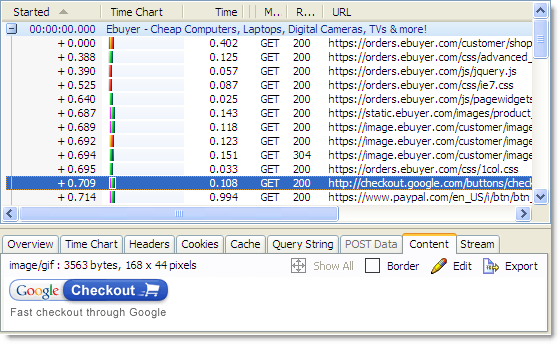 The refresh forced IE to download all the embedded resources on the page and it became clear that it was the Google Checkout image that was causing the problem. Changing this image’s URL to use HTTPS would prevent the warning from appearing.